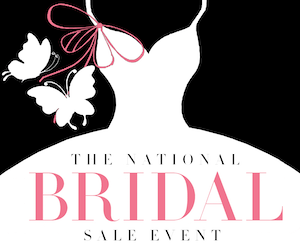 When I first heard about National Bridal Sale Day, I was excited for many reasons, including the fact I think it’s an excellent idea. But I was also thrilled because in my other life I’m intimately familiar with the concept of creating a fun holiday to promote something, and well aware of the great things – financially, emotionally and professionally – that can happen as a result. This story begins back in the early 2000s. I was a curious college journalism student, and I kept hearing odd events like “National Garage Sale Day” and “National Workplace Napping Day” mentioned on the radio. How do those unusual days get started and why do people create them? I wondered. Deciding to be proactive, I contacted The Denver Post and asked if I could write a story about it. • More than 12,000 unusual holidays were in existence at the time; that number is significantly higher today. • People create them for a variety of reasons including to promote an issue, event or business; to entertain; to make money; or simply to relieve boredom. • There are several ways to officially create a holiday: state legislation, corporate sponsorship and/or apply for listing in the Chase’s Calendar of Events. The latter is by far the cheapest, easiest route. 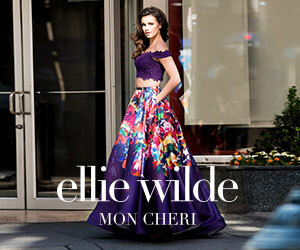 • Chase’s Calendar is a day-by-day directory of worldwide celebrations, which is published annually and distributed to media and other subscribers. • It costs nothing to submit a holiday idea to Chases, although approval is certainly not guaranteed. Your chances of approval go up if your holiday is unique and has a website and/or supporting events. • Celebrations listed in Chase’s contain details about the holiday as well as contact information for its creator. • Media frequently use this book to look for stories. • Once a holiday is listed in Chase’s, the possibilities are endless. Here are some Chase’s success stories: a former morning radio announcer, Tom Roy, created more than 71 holidays for entertainment purposes including Eat What You Want Day (May 11) and Be Bald and Be Free Day (Oct. 14). Entenmann’s Bakeries purchased exclusive rights to the former to promote a new line of snack cakes, while Days Inn grabbed up temporary rights to the latter in order to mention it during a TV commercial. As well, a Lafayette, Colo.-based personal coach, Fred Berns, created International Toot Your Flute Day (Oct. 4) to educate people about the art of self-promotion; he credits the holiday with helping him sell more than 3,500 copies of his book, “Sell Yourself: 501 Ways To Get Them To Buy From You”, as well as his receiving numerous requests for speaking engagements and training sessions. The success story list goes on, and includes heavy hitters like Small Business Saturday. The initial event was a success (for details and pictures, see page 46-47), and moving forward, plans for the next NBSD – scheduled for Jul., 15, 2017 – will continue to be refined based on retailer feedback, resulting in an even stronger showing next year. In the meantime, I believe a listing for NBSD should be submitted to Chase’s; if approved, there will be that many more free opportunities to spread the word. Of course, nothing is guaranteed and ultimately the success of NBSD will be dependent on the retailers and sponsors who participate. But creating a fun holiday is a great (and free!) promotional strategy that all business owners and entrepreneurs should be aware of. After all, you never know what awesome opportunities lie ahead. Epilogue/shameless plug: after writing that Denver Post story, and receiving some unexpected media attention for my unique talent, which involves beating NFL quarterbacks at a football-throwing game while wearing high heels, I created Celebrate Your Unique Talent Day (Nov. 24), which is currently under development. If you want to follow along, check out Facebook and Twitter (@UniqueTalentDay) as well as Instagram (@Unique_Talent_Day). Or view my unique talent at: www.uniquetalentday.com/about.html.